June 20, 2018 – Our Lincoln Eatery food hall is wrapping up construction this week as we turn over stalls for our tenants to begin their work. A unique collection of local food chef/entrepreneurs are joining together in what one writer termed, the sharing economy of food. Preleasing is at almost 75% signed and or committed, with just a handful of spaces still available. What a learning exercise this has been for our team, led by Mindy McIlroy, Terranova Executive Vice President and Vanessa Francis, our leasing leader on this project. We visited food halls all over the country from New York City to Denver, from New Orleans to Los Angeles, and everywhere in between, talking to tenants and operators about what was working and what could be improved. We learned from designers and chefs, from contractors and managers. No two models seemed the same, but each brought an energy and excitement to the local food scene. We agonized over every detail from seating to counters, tiles to flooring, sound systems to televisions, lighting to bathrooms. And ohhhhh, don’t forget the wallpaper in the bathroom, with each one more colorful and unique than the next. Detailed thought went into grease traps and hoods, electrical service, wi-fi and cooling, column covering and ceilings, and the list could go on forever. We are looking forward to a December opening featuring all kinds of activities from morning to evening so we are ready and experienced to welcome guests for Art Basel in early December. The project was both fun and agonizing as we worked hard to figure out the right choices in a nascent industry often yielding more questions than answers. The Lincoln Eatery will be a community gathering place from morning to evening, where local friends and visitors alike can gather to share ideas and smiles, to sate their hunger, to grab a coffee and pastelito or a croissant. As the day goes by, and the meal changes, deli sandwiches, hot pizza and sushi, as well as popsicles and nitrogen ice cream will all be deliciously available. 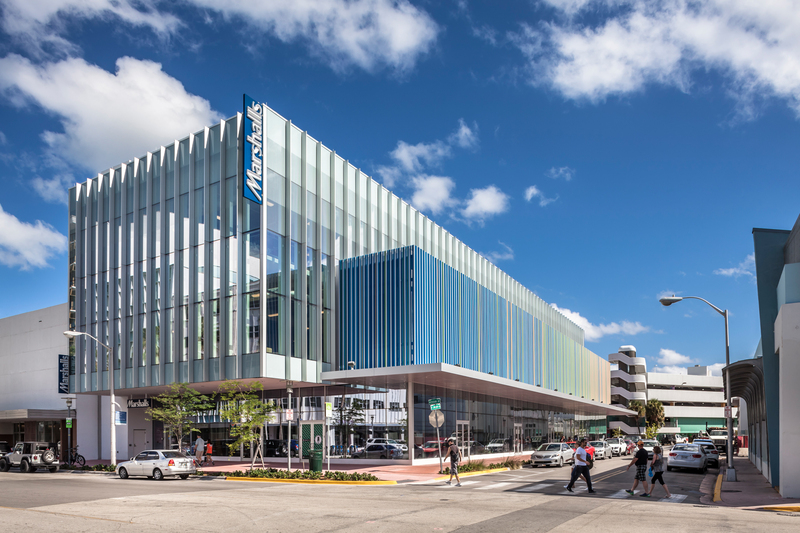 Located just off Lincoln Road, on Meridian Avenue, strategically by the Miami Beach Convention Center and the City of Miami Beach City Hall, the location guarantees enormous amounts of pedestrian traffic at all times of the day, every day of the week. The decision to develop the Lincoln Eatery was driven by a desire to offer a place for people to connect in person vs. online; to create an anchor for an expansion of the Lincoln Road experience north on Meridian; and to provide a comfortable and casual, popularly priced dining experience for local beach residents and the millions of visitors every year. Of course, we are inviting you to join us to watch as the dream becomes an active reality. Watch us as we move forward on social media (@lincolneatery) and make sure you invite your friends to stay tuned as well. Look forward to seeing you at the opening! !